After the official demise of Windows Phone, Microsoft has been quick to bring new apps to iOS and Android. 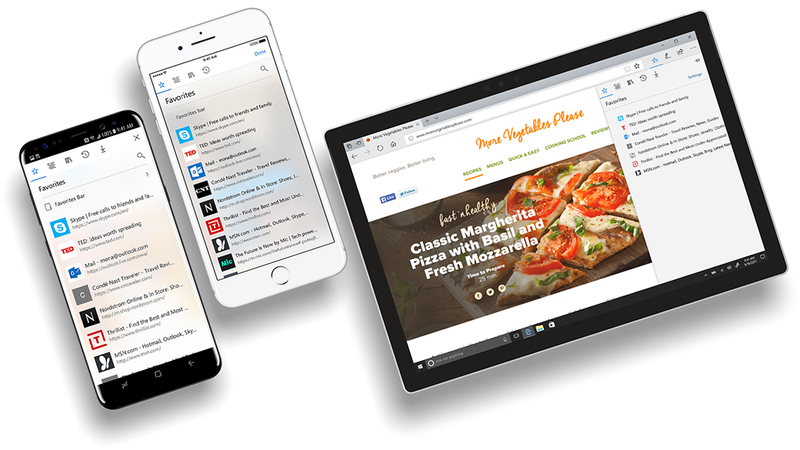 Joining Cortana, Microsoft Launcher, and the Office suite of applications, Edge browser is making its way to other mobile operating systems. Implementing Edge on mobile offers much the same cross platform experience that Google Chrome offers to Android users and Safari offers to iOS and OS X users. Syncing of bookmarks, browsing histories, saved passwords, and all other browser data is possible to create a seamless switch between any devices that can run Edge. Many may be wondering why even consider using Edge on mobile when Chrome, Safari, or another browser of choice already works well. Last year, Microsoft made the claim that Edge is significantly more efficient than Chrome in terms of battery usage. Whether this will carry over to iOS and Android devices as well has yet to be tested, but it is worth looking into. There are very few smartphone owners who wouldn't enjoy longer battery life. Microsoft Edge Preview for iOS is currently being managed through Apple's TestFlight app so an Apple ID is required to be able to receive access to the beta version. Android users can download the preview directly from the Play Store.